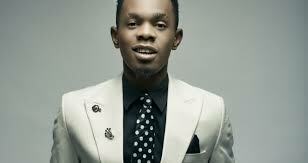 The continental reggae-dancehall superstar, Patoranking switches up the sound by releasing an inspirational anthem titled “Make Am”. Detailing his own real life story, Mr. #WhaYaSay feeds Africa a catchy afrobeat tune that delivers the message: “Everybody can and will make it. And when you do, don’t let currency change your character”. Ace producer J. Pizzle teams up with one of Africa’s leading guitarist, Fioke, to complete the perfect beat.